I submit my name numerology details as follows. My name is Manoj. Father name is Krishna and family name is Tarale. I born on 7.5.1967 at 7.20 AM. Born in place called Nipani dist. Belgaum in the state of Karnatka . 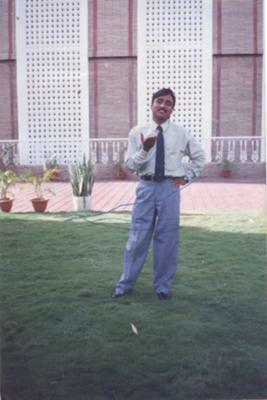 Presently I am living at Pune since last 20 odd years. My problem is What ever I do there is very slow and sluggish progress, having obstacles. Money doesn't remain, it comes and goes. Plans do not work. Friends, colleagues, co-workers, officers remains unfaithful. Is there any fault in my name? Is it need to change. Please advice. Being born with 7 & 8 you are twice unlucky. 7 does not permit financial strength and 8 gives miseries and sorrows. Further Manoj is a highly negative and unlucky name because of No in it. Therefore, it is better to correct your name. How come name MANOJ is unlucky name, if you calculate all represent numbers (4+1+5+7+1) = 1+8=9 and according to numerology chart number 9 makes you a born fighter. You don't know what fear is. 9 numerology makes You an embodiment of courage. You possess excellent resilience and endurance. You persist in your efforts to succeed. Hi My name is Alexander John. Born on 16 May 1986 in Malaysia. I am currently in love with a girl and her name she was born on 20 Feb 1986. She have seen a numerologist to get her name suitable for her which after adding up would give number 37. I am not sure if i am compatible with this person. Would love t hear from you.